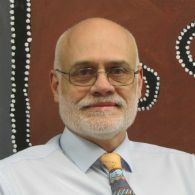 Professor Hays, with qualifications in both clinical medicine and medical education, has a strong record of achievement in research and scholarship related to training of medical practitioners, measurement of performance, rural health service delivery and workforce, and program evaluation and accreditation. Richard Hays was a rural medical generalist in northern Queensland before becoming a teacher and education researcher, gaining further qualifications in educational psychology and medical education. He has had roles in the development of several medical education programs, including new medical schools in Australia (JCU), the United Kingdom (Keele), Ireland (Limerick), Canada (Northern Ontario and Northern British Columbia) and in South-East Asia. He has also participated in many international medical education quality assurance reviews in Australia, New Zealand, the Western Pacific region, Asia, Europe and the UK. He has been awarded about AUD 3 million in competitive research and development grants and has published about 100 research papers, 150 other journal articles, 16 book chapters and 9 books, primarily on assessment, curriculum design and educational quality assurance. He still loves leading change based on medical education development and remains in part-time clinical practice. Richard has been a head of school or Dean at four Universities, around major educational reforms. Richard's research aligns to the University's research theme of Better Health. His research interests include curriculum and assessment practices that deliver particular workforce outcomes, with a strong Social Accountability focus. This overlaps strongly with his rural health service delivery and program evaluation interests. His services are in demand, addressing ways of improving access to medical programs for under-represented groups and producing medical graduates that want to work in specialties and geographic locations that need them, thus addressing equity in health care delivery. His expertise is well recognised both nationally and internationally. Prof Hays is currently on the Editorial Boards of Medical Teacher and Asia Pacific Family Medicine and regular reviewer for several international journals. He has over 300 publications to his name. Prof Hays has been the recipient of over 46 grants from various locations, including the NHMRC. Prof Hays has successfully supervised more than 10 HDR students to completion including PhD, Masters and Honours candidates. In addition he has been involved in the assessment of over 15 Theses.